Aphelion™ users can now effectively process and display 3D images using virtually the same processing and analysis power provided for 2D images. The Aphelion Imaging Software Suite includes two optional extensions for these functions: the 3D Image Display Extension and the 3D Image Processing Extension. Using these powerful extensions, images acquired from sensor devices such as X-ray Micro-CT, 3D Atom Probe, confocal microscopes, medical scanners, and other 3D devices, can be easily processed, analyzed, and displayed using the Aphelion Dev Graphical User Interface. The Aphelion 2D image processing operators have been enhanced to handle 3D data including, for example, convolution, addition, subtraction, maximum, erosion, dilation, distance function, labeling, watershed, and threshold. 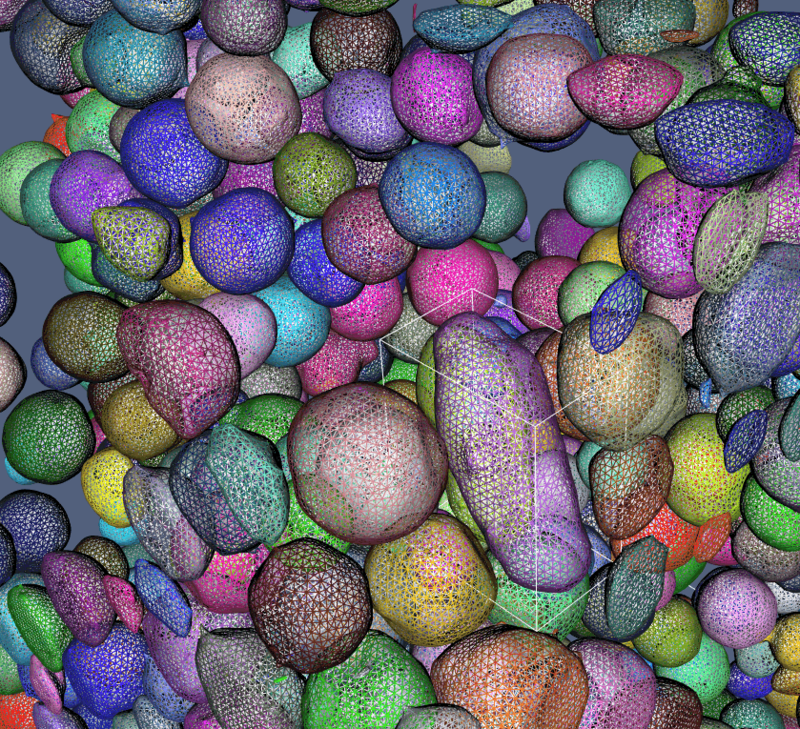 The 3D Image Processing Extension includes analysis on 3D images and true 3D Objectsets. 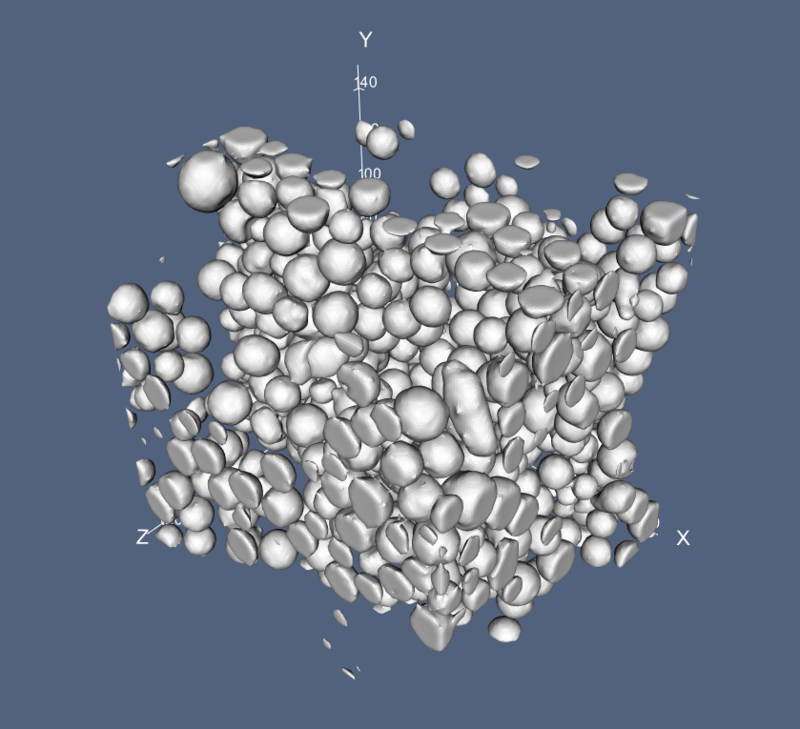 A set of specific 3D measurements is available such as sphericity, surface area, and volume. The 3D Image Display extension is now available in the Aphelion Imaging Software Suite environment. New features have been added to the previous version of the extension. Using new PC archi-tectures helped to dramatically improve the speed and the quality of the image rendering. Both a 3D image and the associated Aphelion 3D ObjectSet can be simultaneously displayed in the same Aphelion Visualization window. 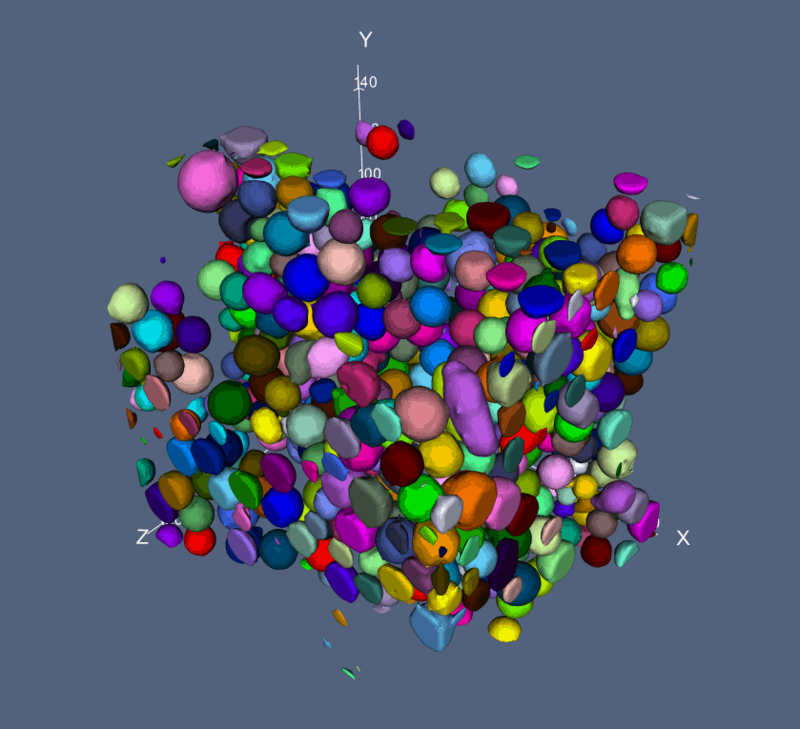 Different visualization modes are available to let the user accurately analyze any 3D object. 3D Skeletonization Extension is an Aphelion™ Dev extension1 that derives a skeletonized of a 3D binary image. The resulting skeleton is a 3D connected graph whose lines have the thickness of one voxel. This Skeletonization process is based on advanced work performed at the Ecole des Mines de Paris (France) and Monash University (Australia). Node coordinates in the 3D space. 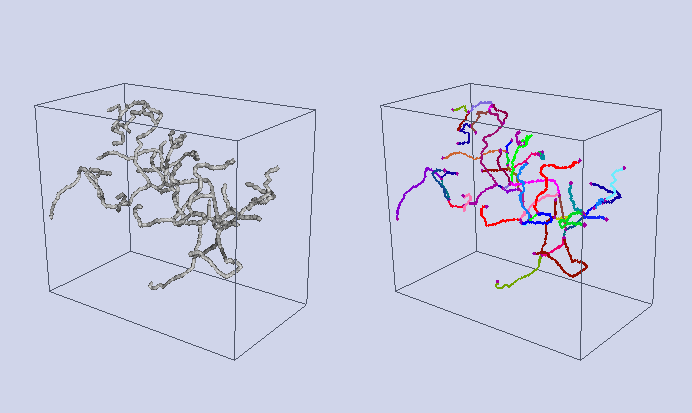 While the 3D Skeletonization Extension process specifies the root of the skeleton (i.e., the last node of an extremity), the user can manually specify a different root node. When a new root node is chosen, the tree structure and associated attributes are then automatically recomputed. This method enables the user to exhaustively analyze each connected component of the skeleton. Typical Skeletonization applications include analysis of blood vessels, neural systems, and any other tree-like structure in 3D space. 3D skeletons greatly enhance a user’s ability to quickly extract quantitative data from complex 3D structures. Note: 3D Skeletonization Extension is a plug-in for Aphelion Dev. It also requires the 3D Image Processing Extension to be installed and executable. The 3D Image Display Extension is highly recommended. Call us to learn more about Aphelion 3D Image Processing, 3D Image Display, and 3D Skeletonization extensions. Link to download the Aphelion 3D Image Processing and 3D Image Display extensions flyer is available at the bottom of this page. The 3D Skeletonization extension for Aphelion 3D Image Processing is also introduced at the bottom of this page.